There are a lot of complicated lighting situations in photography. Some photographers deal with it by using artificial light such as strobes or on-camera flash but there is also HDR. HDR means High Dynamic Range and allows you to have a perfectly exposed photograph. 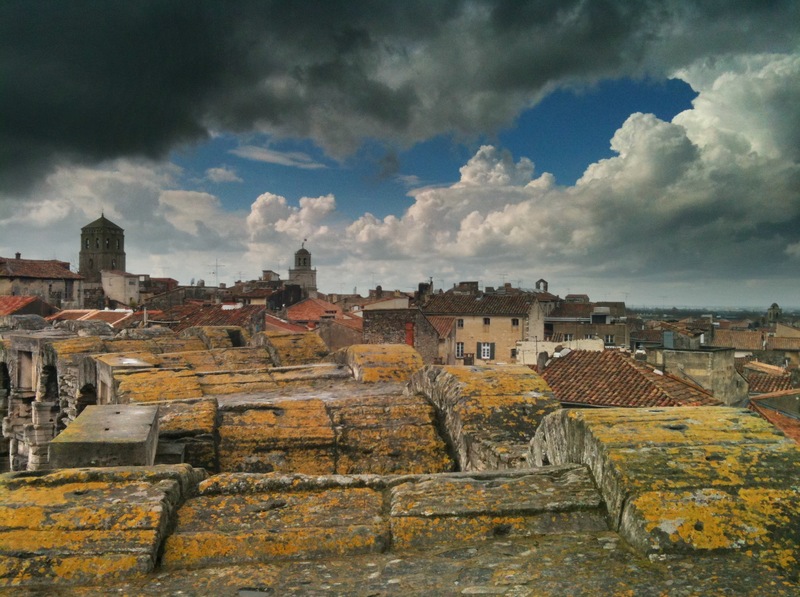 If you are using a digital SLR then you can take 3-10 photographs of a scene then use tone mapping and merge them into one fabulous photograph using Photomatix or Photoshop CS5. The effect can be very useful especially for interiors or dusk photographs. Unfortunately, some photographers have used the effect to the extreme and the images look ridiculously fake. But used judiciously, the effect can be quite useful and prevent the trashing of some decent photographs. The iPhone 4 has an HDR function but since I have the iPhone 3GS (I’m impatiently waiting for the iPhone 5) I rely on a great inexpensive app called ProHDR. It’s very simple to use and it is also available in an Android version. 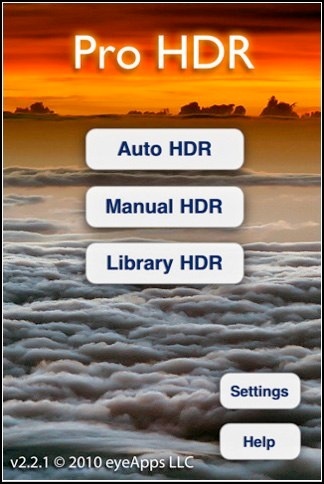 You launch the app, and the screen will offer you the choice of manual, auto, or library (load from the camera roll) HDR. I like to use manual setting for more control. Once you choose the manual setting, the app opens the camera and will ask you to tap on a bright area of the scene. 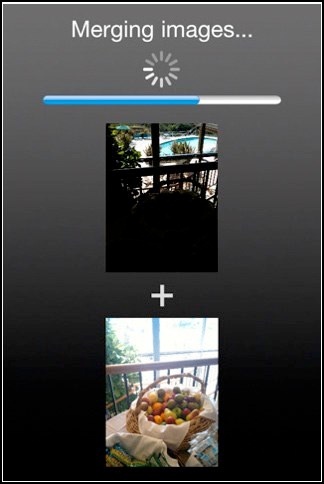 It takes a photo and you can accept it or cancel, when you accept, it then asks you to tap a dark area of the scene. 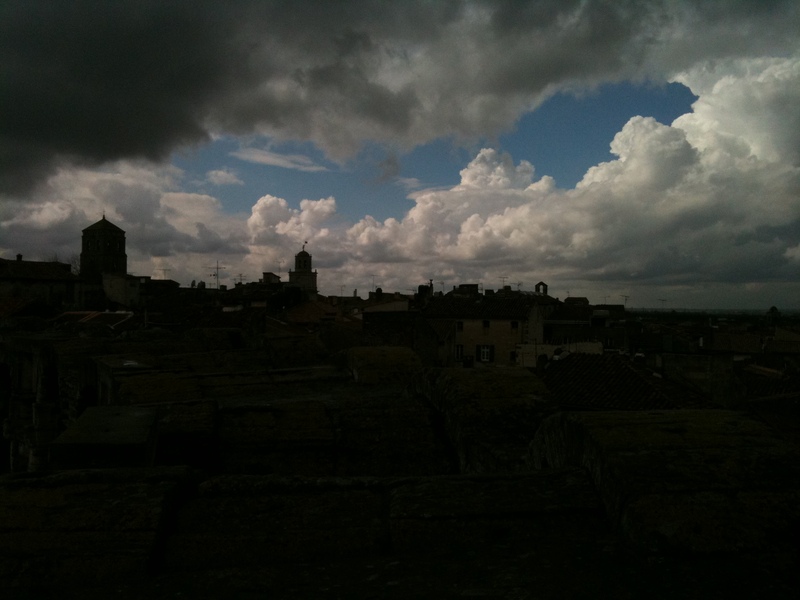 It then will merge both images together and you can adjust the brightness and contrast of the image. ProHDR can produce a halo effect if you’re too aggressive with the adjustments, so I just pump up the contrast a little and that usually is sufficient. 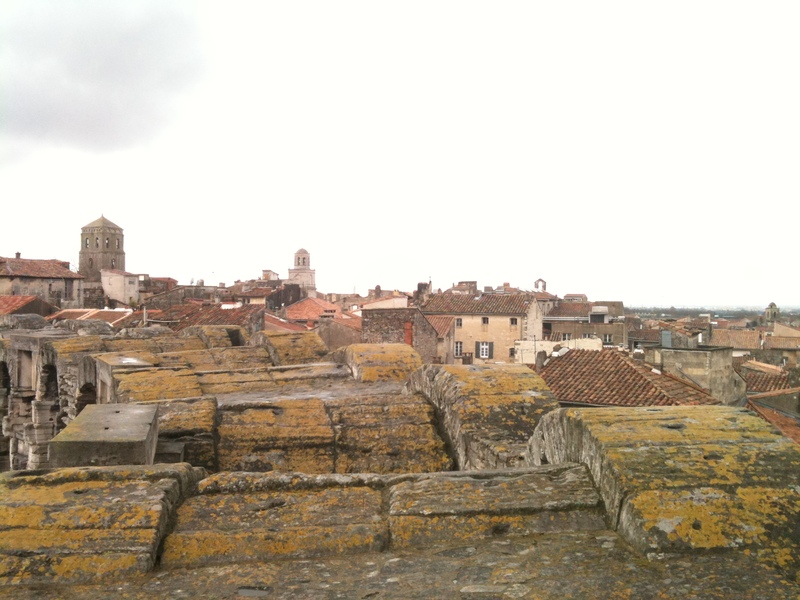 Here are two photographs that I took in Arles, France on top of the coliseum. It was an overcast day without a lot of light. If I exposed for the sky the foreground would have been far too dark and if I exposed for the foreground my sky would have been blown out. With a DSLR I would have taken 5 or 6 bracketed images with the camera on a tripod. These images were handheld with the iPhone using ProHDR and no schlepping heavy equipment up slippery medieval stone stairs. It’s worth the $1.99 and there are quite a few HDR apps in the AppStore. I really like this one and Dynamic Light. After you process your image you can bring it into any editor (Photogene, Filterstorm, PhotoForge, or the free Adobe PS Express) and sharpen the image.